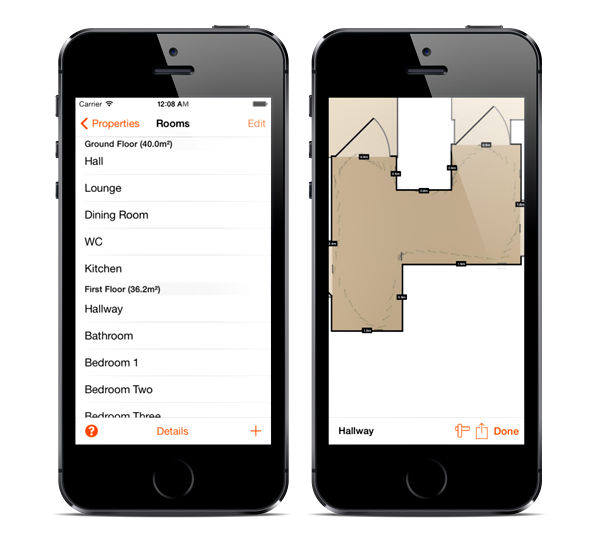 App developers are always dreaming up innovative ways to take advantage of the improving technologies at their disposal, and RoomScan, over at the iOS App Store, is quite unlike anything we’ve previously stumbled across. In a nutshell, this nifty little utility can automatically map out a floor plan of a room after being held against its walls for just a few seconds. Find out how this intriguing app works its magic, as well as how you can get hold of it, right after the break. The app, created by Locometric, offers a perfect solution for those looking to take down measurements of a room, but don’t have a standard tape measure readily available. 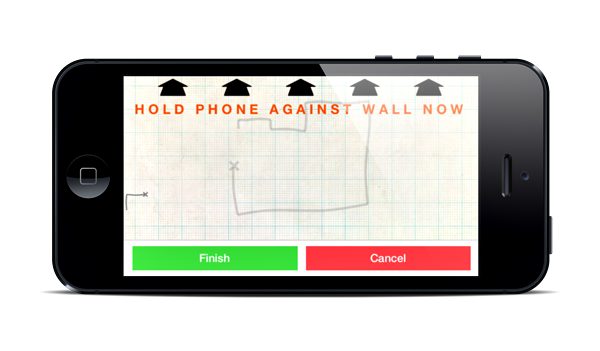 You simply hold your device against the walls in a sequential fashion as directed by the app, and within a matter of seconds, RoomScan will offer approximate dimensions of the wall length and floor area of a room. Since it’s said to be accurate to within 10 cm, it’s perhaps to be used as a rough guideline rather than being the kind of tool you’d consult in advance of ordering new furniture, but at a time when our smartphones and tablets help us perform almost any day-to-day task, the likes of RoomScan only add to the seemingly endless list of capabilities. To get started with the free app, all you have to do is place your device against a wall, wait for the subsequent beep of approval, and then move on to another wall. The seamless manner in which it operates makes it a joy to use, and while it is a little rough around the edges, it’s a great concept that offers huge potential. RoomScan is free to download, and works with iPhone, iPad and iPod touch. If you see enough value in the standard version, there’s also a Pro upgrade to be had via in-app purchase, which will automatically connect rooms as you move through an entire building, as well as allowing you to color code your floor plans as you please.